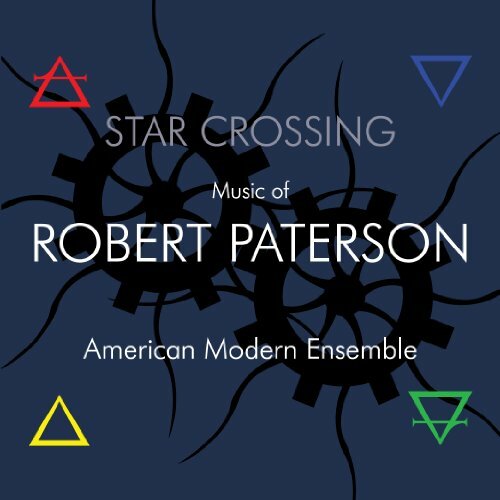 This recording contains seven chamber works by American composer Robert Paterson, performed by the New York City based American Modern Ensemble. All of the tracks are for various combinations of flute, clarinet, violin, cello, percussion and piano, with the exception of one of the tracks, Embracing the Wind, for flute, viola and harp, and Elegy for two bassoons and piano. This world premiere recording is the first recording dedicated entirely to Paterson’s music. It was recorded at the Academy of Arts and Letters in New York City and produced by multi-Grammy winning producer Adam Abeshouse. All works feature combinations of flute, clarinet, violin, cello, piano and percussion, with the exception of Embracing the Wind (flute/alto flute, viola and harp) and Elegy (two bassoons and piano). A few works call for the performers to use police whistles or play exotic percussion instruments. These works are inspired by subjects as diverse as a criminal on the run, space travel, an Olympic athlete, the four classical elements, rock and roll, and the music of J.S. Bach. Based in New York City, the American Modern Ensemble has quickly become a major force in the New Music scene, having programmed the widest possible repertoire by American composers, and especially living composers. Since its inception, AME has presented over thirty concerts, featuring performances of works by over eighty composers, using a world-class ensemble that includes some of the finest instrumentalists and vocalists in North America. Further information: www.americanmodernensemble.org. Sextet begins with police whistles and is inspired by a criminal running scared from the police, and traveling on old Route 66. The Thin Ice of Your Fragile Mind is icy and cold-sounding, but also inspired by Arcosanti, a prototype "arcology" in the middle of the Arizona desert. Star Crossing evokes the feeling of what it would feel like to travel across the galaxy. Embracing the Wind evokes the image of an Olympic athlete running against the wind. Elegy is inspired by J.S. Bach's cello suites, and contains embedded quotes of Bach's music. Skylights is inspired by the skylights at the Atlantic Center for the Arts in Florida, and is a study in contrast between light and dark. Quintus, is a rock-and-roll inspired, groove-oriented, hyper-intense joy ride for instrumental quintet.